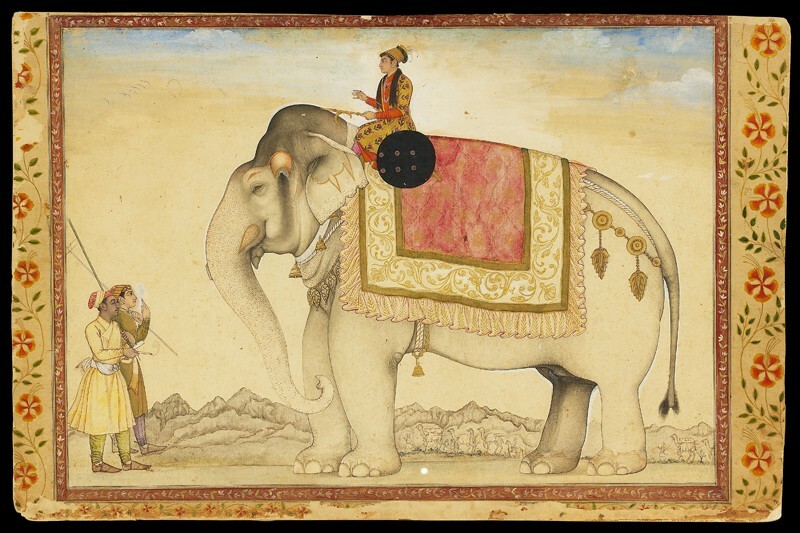 In this imposing portrait of Ganesh Gaj, the painter exaggerates his size to emphasise his grandeur. The rider is a prince in a floral robe, possibly a son of the emperor Aurangzeb. With its distant hilly landscape and a passing camel train, this picture may have been painted in one of the Mughal military camps in the Deccan.